Bread Flower. 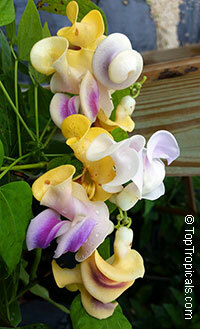 One of the most impressive tropical vines that is very popular in Thailand and other South-East Asia countries. Moderate growth woody climber with clusters of freshly-baked-bread fragrant white flowers, it is easy to care and tolerates wide range of conditions. 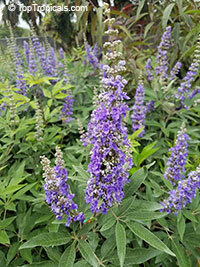 It can be trained as a compact bush and is good for container culture. Attracts butterflies and hummingbirds. This plant is relatively cold hardy according to our experience. Mild frost doesn't do any damage to it, even large tropical leaves stay glossy green and healthy. It is very vigorous grower that can create nice privacy hedge or cover a large fence. Wild Medlar. This is a deciduous shrub or small tree. The fruit is almost round, glossy dark green when young and changing to a light brown when ripe. Very rare, collectible and extinct species! 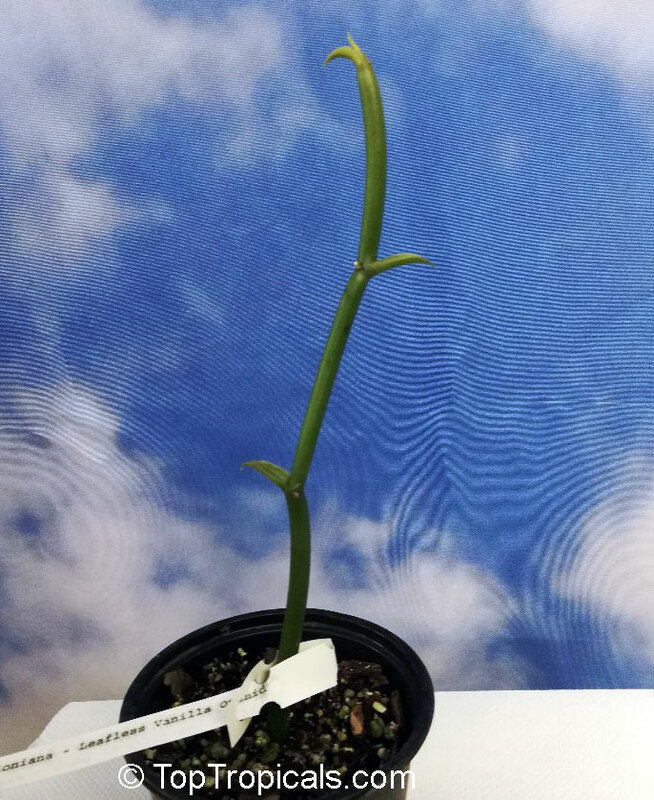 This plant propagated at TopTropicals nursery from Robert Riefer's unique specimen, the biggest potted specimen in the World grown in 100 gal pot, originated in 1927, awarded in 2011 with CHM certificate of Horticultural Merit by American Orchid Society. 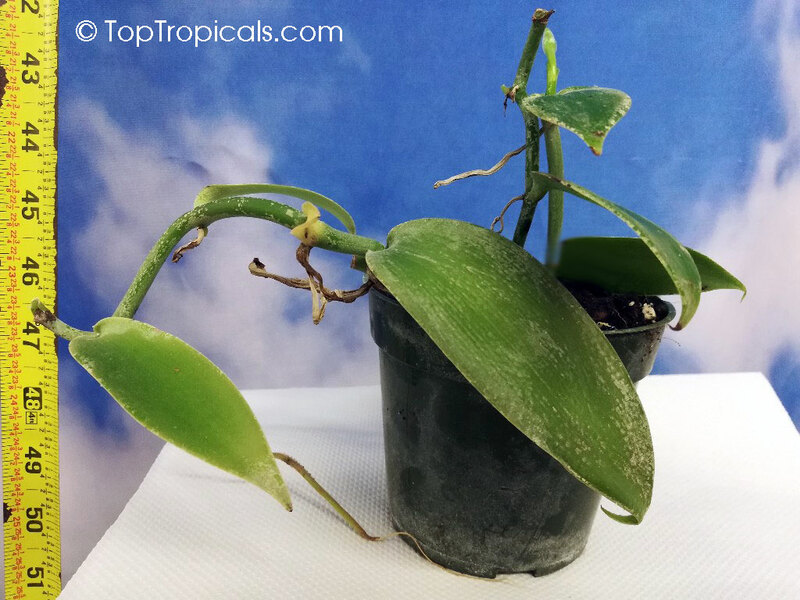 Leafless Vanilla Orchid is amazing exotic vanilla that forms a multi-branched, leafless vine reaching lengths up to 15 ft. 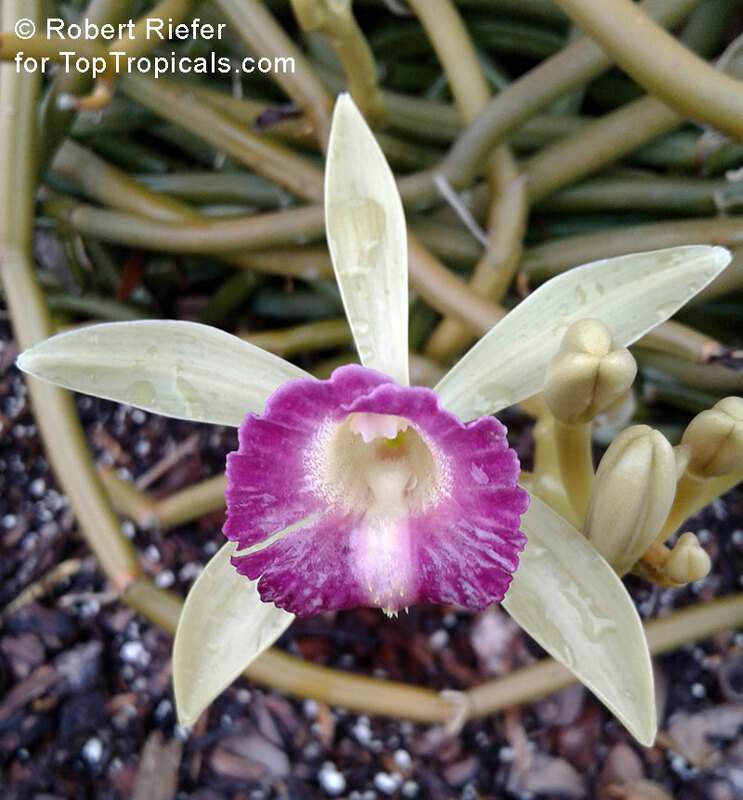 The light green flowers are similar to Vanilla barbellata but the petals and sepals are longer and the fluted lip is a deep reddish-purple with a yellow crest. 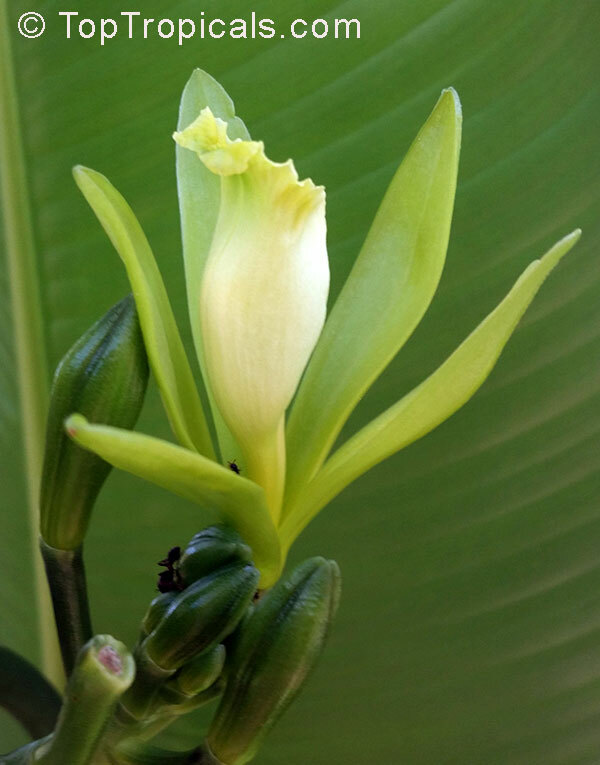 Vanilla dilloniana is distributed throughout the West Indies and had been reported on the banks of the Miami River in South Florida. Vanilla dilloniana is a very rare species and considered vulnerable, endangered across its range. Pieces of plants from the original colony have been shared and may be found in local collections. See the Video of the original specimen. Bourbon Vanilla Bean, 4" pot. Fast growing, providing right conditions for orchids. Bright filtered light, high humidity. Madagascar Bourbon Vanilla Bean, French Vanilla, Vanilla Orchid. Make your own vanilla! Madagascar Bourbon Vanilla Bean, French Vanilla, Vanilla Orchid. Make your own vanilla! Fast growing, providing right conditions for orchids. Bright filtered light, high humidity. 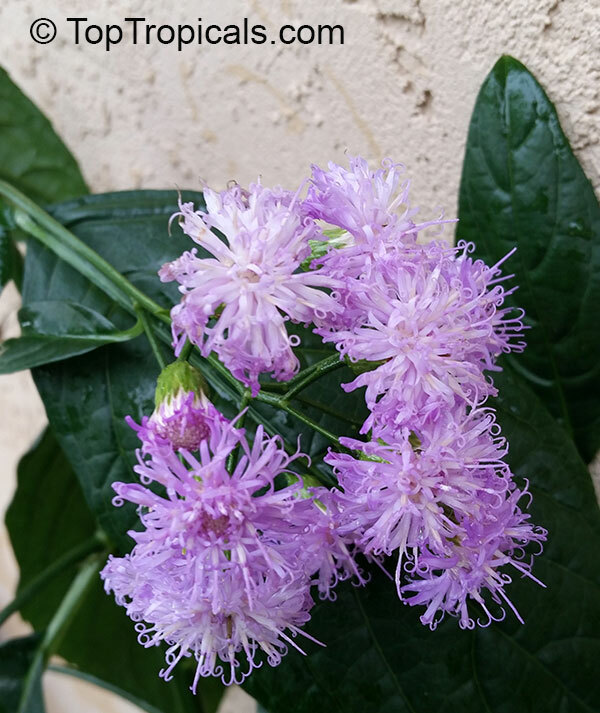 Tropical Aster, Ironweed, Bitterleaf. Vernonia is known for having intense purple flowers. The genus is named for the English botanist William Vernon. Common names include bitterleaf, ewuro, ndole and onugbu. They are common in most West African and Central African countries. They are one of the most widely consumed leaf vegetables of Cameroon, where they are a key ingredient of Ndolé. The leaves have a sweet and bitter taste. They are sold fresh or dried, and are a typical ingredient in egusi soup. Ironweed. Vernonia is known for having intense purple flowers. The genus is named for the English botanist William Vernon. Common names include bitterleaf, ewuro, ndole and onugbu. They are common in most West African and Central African countries. They are one of the most widely consumed leaf vegetables of Cameroon, where they are a key ingredient of Ndolé. The leaves have a sweet and bitter taste. They are sold fresh or dried, and are a typical ingredient in egusi soup. 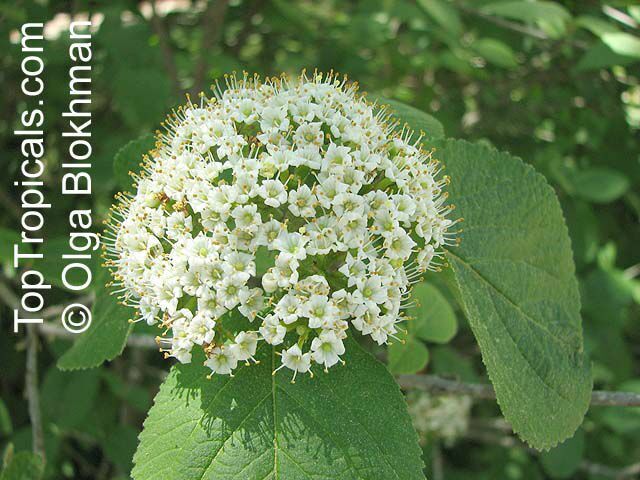 Viburnum odoratissimum is native to Asia. Tiny white flowers are held in great panicles in spring and are pleasingly fragrant. Berries are drupes that turn from red to black and are attractive to birds. Full sun to light. Tolerates moderate shade, but may become scraggly under low light conditions. It is one of the most gratifying shrubs to use as a hedge, because of its fast rate of growth and the beautiful springtime fragrance. It's beautiful, versatile and rarely bothered by pests or disease. Fragrant variety of Snail vine. Fragrance is very strong, jasmine like! 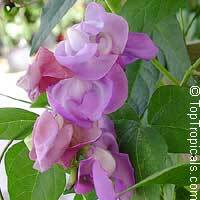 An outstanding and exotic looking, fast growing vine that produces masses of fragrant, curious shape, snail-like looking flowers carried in bold clusters. Blossom tree, Cape Lilac. 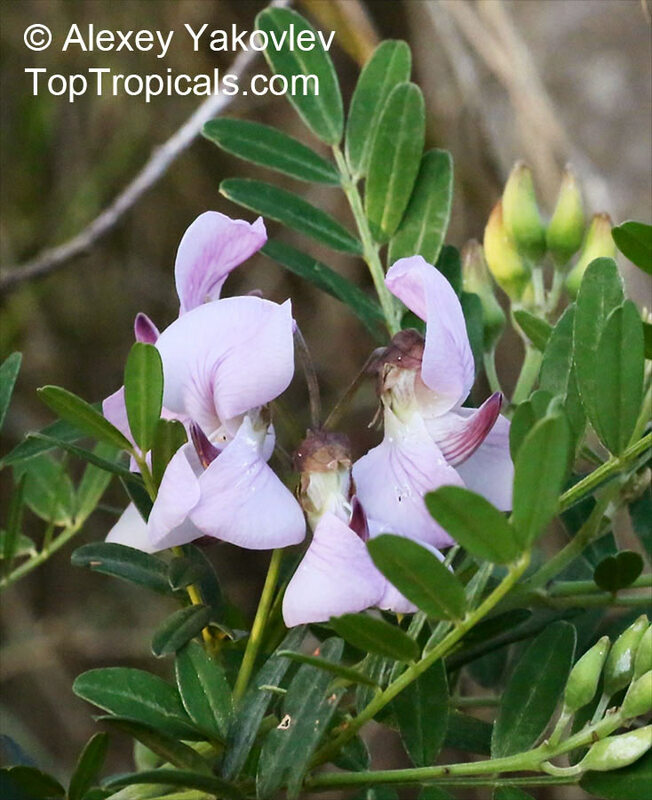 Virgilia divaricata and V. oroboides are very similar and are often confused with each other. V. divaricata has 5-9 pairs of leaflets plus a terminal one, whereas V. oroboides has 6-12 pairs of leaflets plus the terminal leaflet. Blossom tree, Cape Lilac. 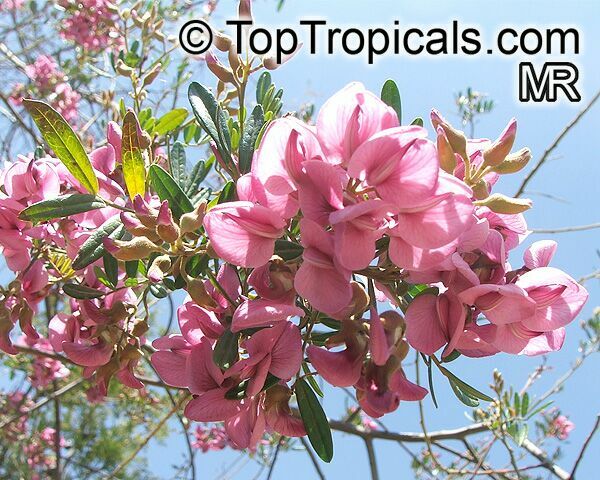 A beautiful tree from S. Africa, suitable for both the domestic garden and big landscapes. 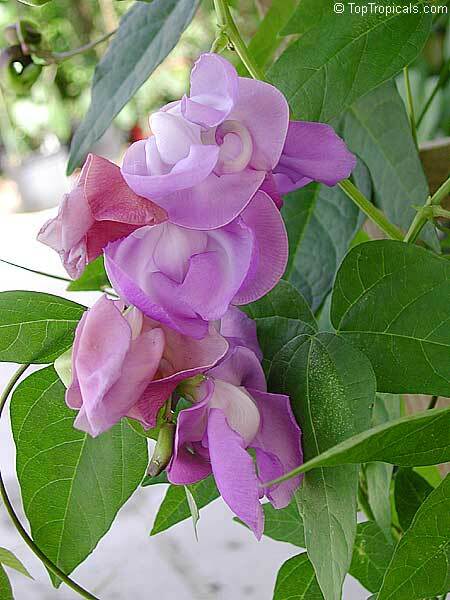 It is fast-growing, beautiful in flower and has an attractive growth form. 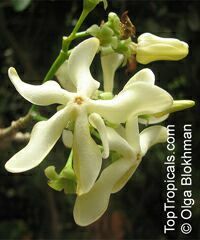 The flowers are rich in nectar and attract many insects and birds. Chaste tree carries several sacred names, which more or less directly refer to its reputation as an aphrodisiac. In ancient Greece, the tree was called hagnos chaste, which apparently the early Christians confused with Latin agnus lamb, the Christian symbol of purity. Under the name agnus castus chaste lamb, the plants was often used among Christian monks as a help against the evils of the more fleshy desires. The chaste tree is a beautiful little deciduous tree or large shrub with a showy summertime flower display. When it's blooming, due to the similarity of the flowers, the chaste tree is sometimes mistaken for Butterfly Bush (Buddleja). The chaste tree is a sprawling plant that grows 10-20 ft and about as wide. Branched flower clusters are produced on new wood in late spring and early summer in a great flush that makes the tree look like a hazy purple cloud. Flowers are followed by a fleshy fruit that contains four seeds that are sometimes used as seasoning, similar to black pepper. Easy to grow in almost any soil that has good drainage! Even tolerant of salt drift. It has high medicinal value in herbal remedies for female health. Blue Chaste Tree. Chaste tree carries several sacred names, which more or less directly refer to its reputation as an anaphrodisiac. The chaste tree is a sprawling plant that grows 10-20 ft and about as wide. Branched flower clusters are produced on new wood in late spring and early summer in a great flush that makes the tree look like a hazy purple cloud. Flowers are followed by a fleshy fruit that contains four seeds that are sometimes used as seasoning, similar to black pepper. Easy to grow in almost any soil that has good drainage! Even tolerant of salt drift. Plant the seeds 1/2" deep in potting soil mix, keep damp and in bright light. Five-leaved Chaste Tree. 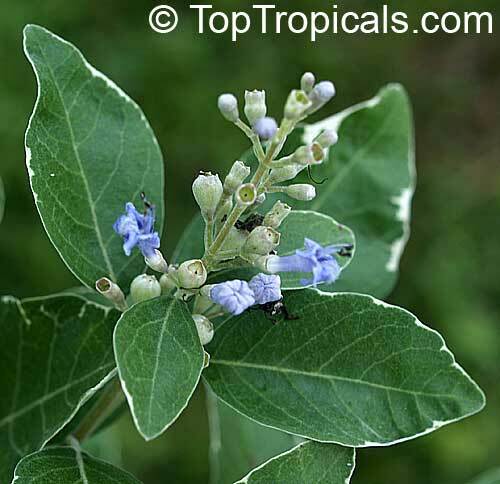 Large aromatic shrub with quadrangular, densely whitish, tomentose branchlets. 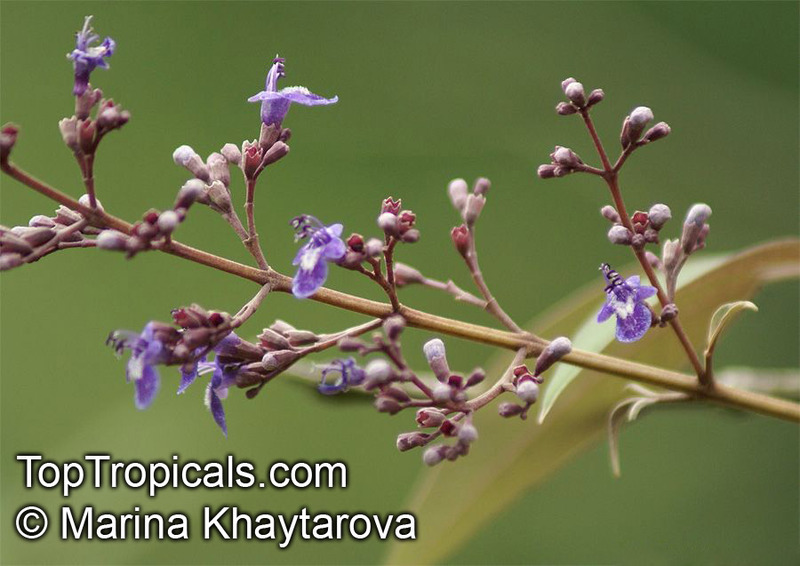 It is widely used in folk medicine, particularly in South and Southeast Asia. Purple Arabian Lilac from East Africa. 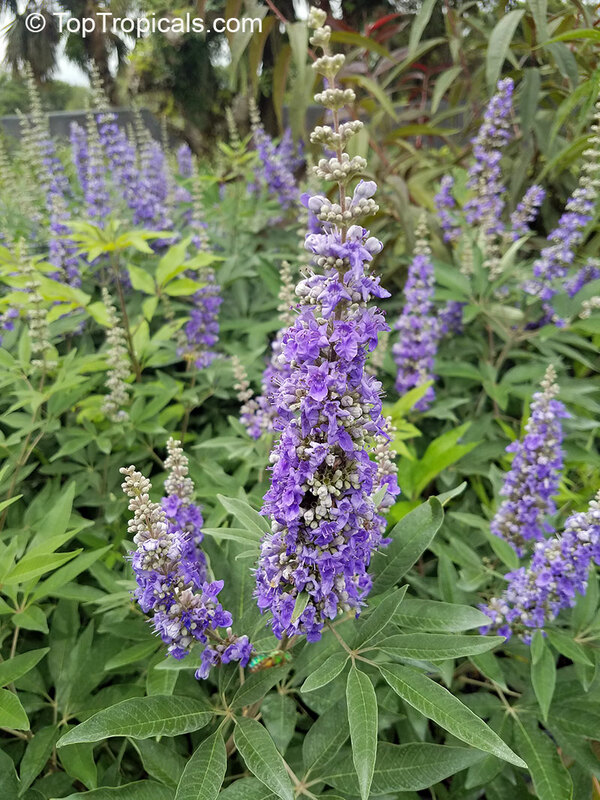 A medium size, fast growing bush with woody stems and dense soft foliage, purple in full sun and with silver underneath. Pretty purple flowers from spring to fall. Can be used as a hedge or a specimen plant. Attracts lots of butterflies and bees. Variegated Arabian Lilac from East Africa. A medium size, fast growing bush with woody stems and dense soft foliage that can be either variegated or has a sharp white trim around the leaf. Pretty blue flowers from spring to fall. Can be used as a hedge or a specimen plant. Attracts lots of butterflies and bees. Vitis tiliifolia is a New World liana in the grape family commonly known as Caribbean grape. 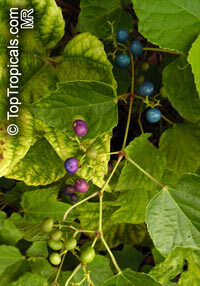 Other names include West Indian grape, water vine, and water tie-tie and water-wise. 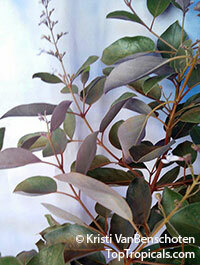 It is a climbing shrub with thick, woody stems that can be over 20 ft long and up to 8" in stem diameter. The plant climbs into the trees and shrubs in the forest, supporting itself by means of coiled tendrils. 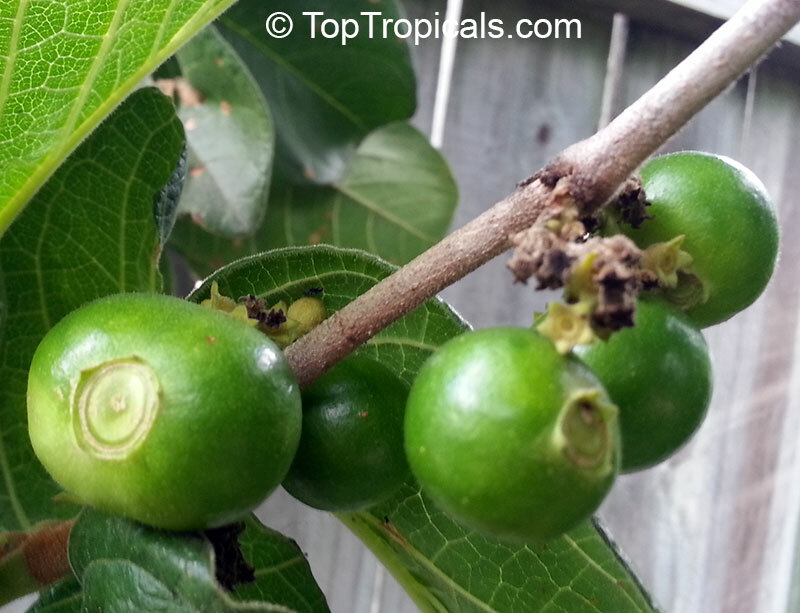 Best known for the watery sap that can be obtained from the stems, the plant also yields a sour fruit, has local medicinal uses and can be used as cordage. Wild Frangipani. Voacanga thouarsii grows as a small tree. 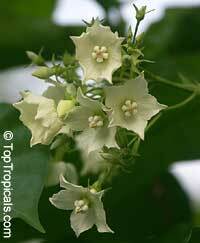 Its fragrant flowers feature a pale green, creamy or white corolla. It has numerous local medicinal uses in Africa.